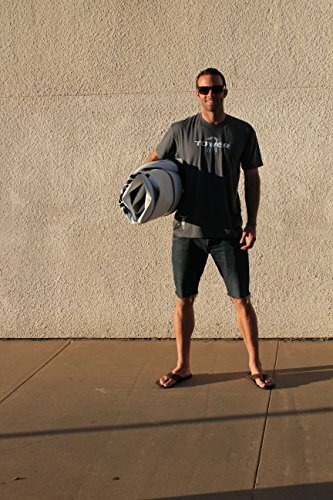 Great for beginner paddlers or avid paddlers needing a convenient solution. 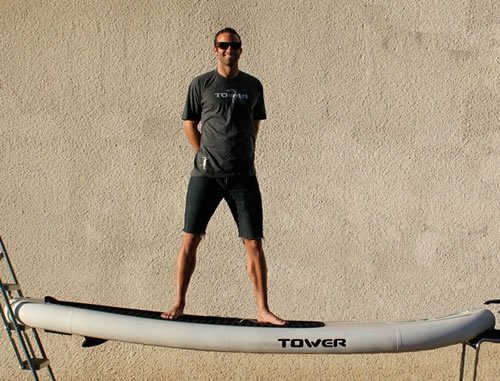 Not only is the Tower Adventurer inflatable stand up paddle board one of, if not THE, best looking inflatable SUP on the market, at 6″ thick, it represents a giant leap forward in inflatable SUP rigidity, which makes all the difference in the world. Finally, with the introduction of the Tower Adventurer, an inflatable SUP is not only a viable option, it may be a better option than EPS/Epoxy boards for anyone that doesn’t live right by the surf! Package includes hand pump & 3-piece adjustable paddle. *Pump Disclaimer: Pressure gauge on pump may not register right away. 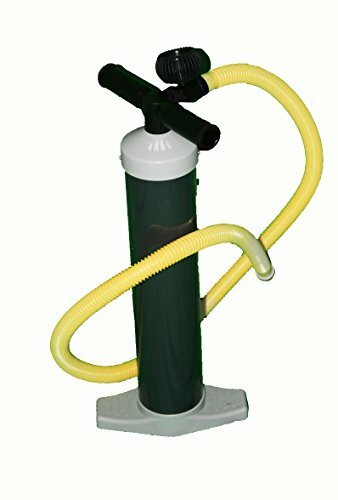 Unless you are using a pump other than the one we have provided, you do not have to worry about over-inflating the board. 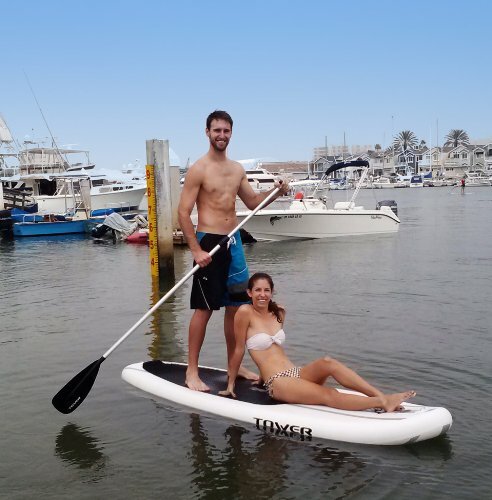 *Paddle Disclaimer: Please be sure to rinse off after using in salt water to prevent corrosion. 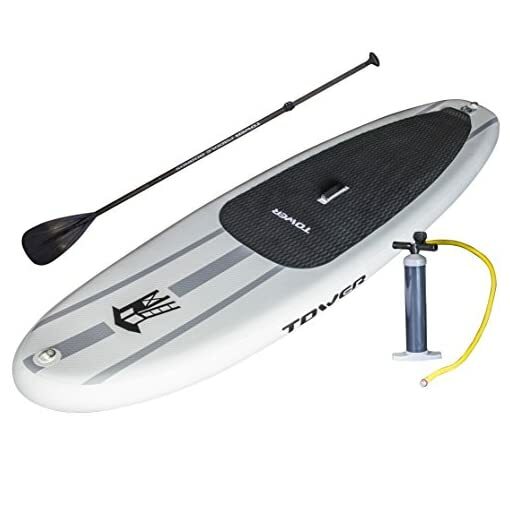 About Tower Paddle Boards: Tower Paddle Boards is the manufacturer-direct paddle boarding company. This means you save $500 on a SUP. By straying away from the traditional distribution channel, Tower saves on internal costs without sacrificing quality, so customers get quality boards at near wholesale prices. EXTREMELY RIGID – Weight limit of up to 350 lbs on the water. 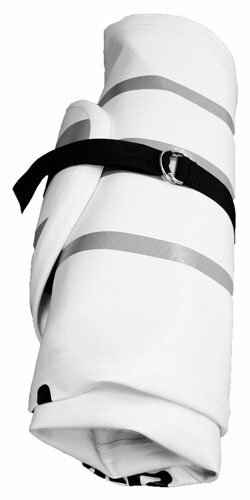 When fully inflated, it feels very similar to a hard board (can be inflated up to 15 PSI -but is stiff and ready to ride at 10 PSI). HIGHLY DURABLE – Military-grade PVC material and drop-stitch construction. Never worry again about dings and board cracks. 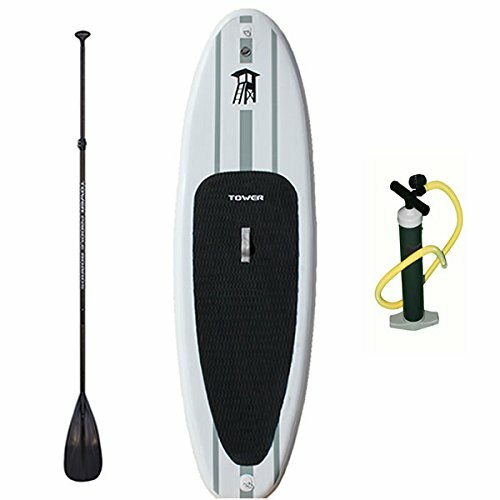 PACKAGE DEAL – Includes board, pump, and 3-piece adjustable fiberglass paddle. 2-YEAR WARRANTY – 2-year manufacturers warranty which covers everything outside of normal wear & tear.